Could South Africa Become a 'Fragile State'? Nearly four in every ten South Africans are unemployed, entrenching poverty and invariably worsening inequality and instability. State failure has become a 21st century analytical preoccupation. It is traditionally defined by the inability of key state institutions to deliver public goods to their citizens because they cannot ensure physical safety nor offer productive economic environments. State fragility is an indicator of the vulnerability to failure, denoting weak capacity, diminished legitimacy, and stretched resources. The risk and extent of failure inevitably circle around the prevalence of violence, the state of the economy, and functionality of institutions. The State Fragility Index published annually by the Fund for Peace and Foreign Policy (in which 15 of the 20 most vulnerable countries are African) employs some 12 indicators. These assess the extent of corruption and criminality, the ability to collect taxes, the presence of internally displaced people, the health of economy, levels of inequality, institutionalised persecution or discrimination, demographic pressures and skills shortages, and environmental decay. At the heart of fragility and failure is the nature of local politics, which shapes policy choices. Fragility intensifies when decisions are made in the interests of an obvious minority, sometimes defined in racial, religious or ethnic terms. This can be summed up as the overall commitment of leadership to popular welfare – in other words, the extent to which leaders are willing to make the right choices in the national interest over the long term. South Africa’s empirical indicators worryingly point to increasing fragility. It ranks in the bottom half of states, in the ‘elevated warning’ category of the Fragility Index. Its rates of violent crime place it among the worst ten countries ranked world-wide, at more than 30 murders per 100,000 inhabitants. Its fiscal situation is weakening as debt slips through 60 per cent of gross domestic product, at which point its investment rankings are increasingly imperilled. It continues to rate very poorly in the educational standards that matter most, notably mathematics and science. Its economic growth rate has been stuck around one per cent. That the country’s state-owned enterprises are now mired in debt is an indicator, if nothing else, of the state of governance and inefficiency. 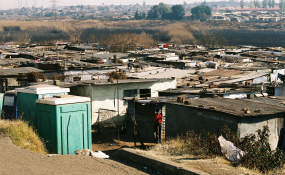 But more than anything, nearly four in every ten South Africans are unemployed, entrenching poverty and invariably worsening inequality and instability. All this suggests the key policy choices that have been made have been the wrong ones. Better choices should aim at stabilising public finances and pushing growth above, at least, three percent, which would establish a positive circle too on debt and unemployment. First, stop the crazy stuff, including the muddled communications about expropriation of land without compensation, the dark mutterings about nationalisation and the high tolerance of divisive populist racial nationalism. Second, develop a laser-like focus on job creation, by measuring every policy against the metric of whether it assists or hinders employment. What is the point of having a minimum wage, as recently legislated, when the economy cannot generate the growth to generate new job opportunities and revenue to make it that minimum wage sustainable. Third, deal with fiscal risk and reduce the load on government by commercialising the 10 or so “state-owned enterprises” that matter (out of a total of 131 such enterprises). There seems to be little other way to fix the electricity utility, Eskom, with its debt burden of R419 billion (U.S. $30 billion, ten times the 2007 figure), or South African Airways, where the bailout regime is currently akin to expecting better behaviour from an alcoholic in denial. Reducing the load on government will also include the phased rationalisation of the public service, which already consumes 40 per cent of the government budget, and ending the practice of unfunded budget mandates for local governments. Some 113 of 278 municipalities currently have such unfunded mandates. Fourth, open up the economy further to global markets, not just investors, but tourists. Allow for visa-free access for every country with a higher per capita income, as a start, and enable on-line applications for the rest. Make the establishment of bilateral free trade deals a priority. Fifth and finally, decentralise government services, notably in power, policing and transport. This is a worldwide trend for good reason, as local and regional governments are closer to the people and, strengthened sufficiently, are capable of greater efficiencies. Review the Constitution with a view to granting provinces taxing powers. Is a change in the political system necessary to steer South Africa away from failure? The problem with the governing African National Congress has never been its lack of broad support, but rather its chronic unwillingness to make tough choices and, under the regime of former President Jacob Zuma regime, giving license to state plundering. The problem with the official opposition, the Democratic Alliance (DA), is that it has not invested sufficiently in the tools and human talent to exercise consistent deep scrutiny of government, provide credible policy alternatives and build its brand of good governance. These failures have given oxygen to the only offer the Economic Freedom Fighters can make to the nation, which is populist posturing, unrealistic promises and public spectacles leading nowhere. Is there hope? The last time South Africa faced failure, a leadership emerged – Nelson Mandela at the forefront – to lift us from the politics of survival to the politics of growth by spelling out a vision and enacting practical policies to build a prosperous nation. To keep the left and right together in the national interest they settled on a Government of National Unity that did not last. Times have changed, globalisation has made nations sometimes wistful entities, but the need for visionary leadership with the guts to the make tough choices that move South Africa forward has become more compelling. It may well be that to realign politics away from mere survival towards a compelling economic and social vision will require a 21st century version of a Government of National Unity that draws on the best of the ANC and the DA in a new social contract, with the nation focused on growth, jobs and safety. Dr Mills heads the Brenthurst Foundation, is a co-author of the recently-released ‘Democracy Works: Rewiring Politics to Africa’s Advantage’ and was a member of the African Development Bank’s high-level panel on fragile states. Dr James is a visiting professor at Columbia University’s Medical Center and School of Public and International Affairs in New York City and was formerly an opposition legislator in South Africa's Parliament and convenor of the Africa Genome Initiative.